Fayette County Memorial Hospital is pleased to announce a new service available to assist cancer patients in gaining back their range of motion. Ultrasound guided hydrodissection treatment is now available. Performed by Dr. Michael C. Barrows in the Department of Radiology, hydrodissection has been used for years, both in the operating room and in various outpatient clinics. Simply put, it uses the physical properties of liquids to gently separate the tissues, with either pressurized liquids or low pressure hand injection. Dr. Barrows is initially offering this procedure to patients who have undergone breast surgery and radiation for cancer who are now having problems with limited range of motion and/or pain due to scarring. This requires a referral from your health care provider and a scheduled appointment in radiology. Dr. Barrows is a board-certified radiologist specializing in Diagnostic Radiology with a focus on breast imaging. 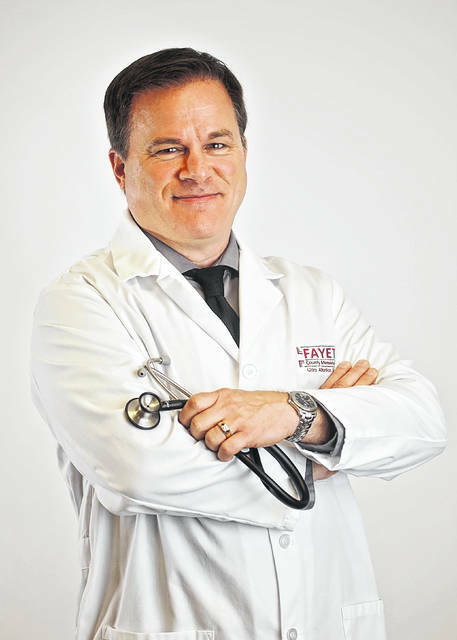 He completed medical school at the Uniformed Services University of Health Sciences in Bethesda, Maryland and his residency at both the Wilford Hall Medical Center and the Brook Army Medical Center location in San Antonio, Texas. Dr. Barrows has nearly 20 years of radiology expertise and has been with Fayette County Memorial Hospital for three years. If you have questions or want to find out if hydrodissection might be right for you, contact the FCMH Radiology Department at 740-333-2930.